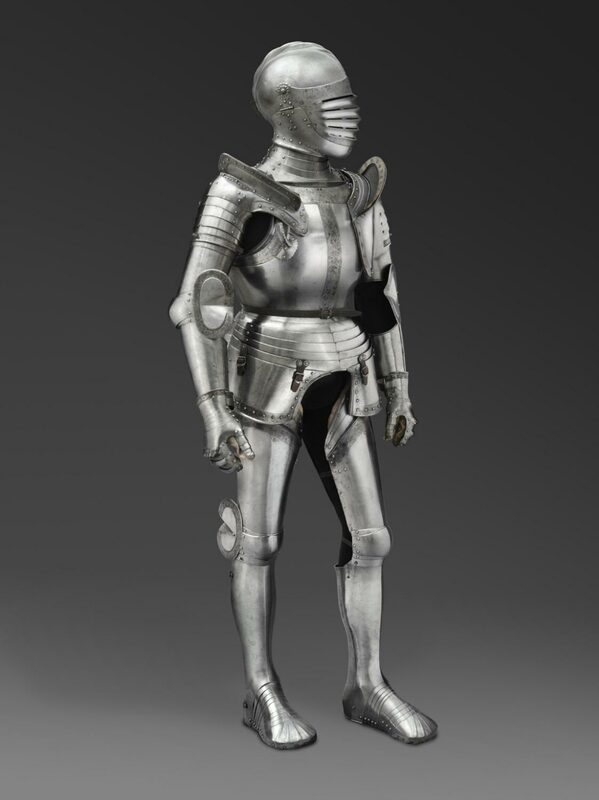 This armor is one of a few complete, or reasonably complete, European field armors surviving from the beginning of the sixteenth century. 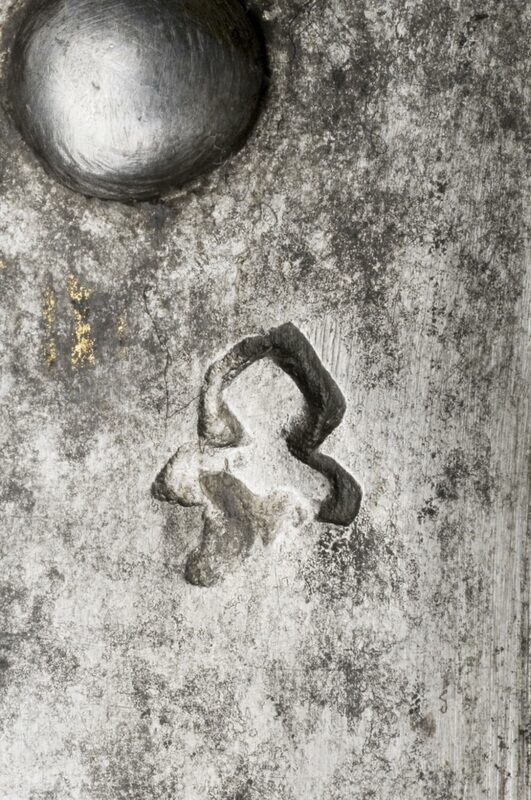 It is also the richest, latest, and most complete of the surviving works of Matthes Deutsch, a successful armorer living in the Bavarian ducal residence of Landshut. 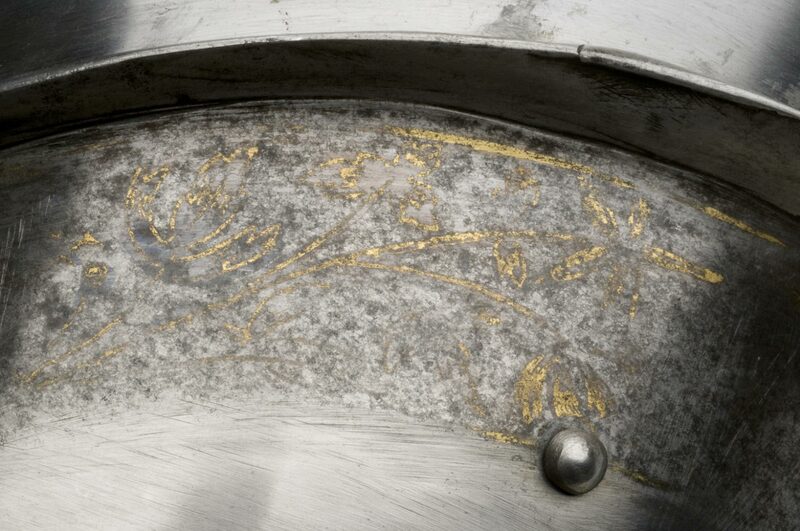 The bands along its main edges and down the center of the breastplate bear traces of etched and gilded flowers and foliage set against a fire-blued ground. 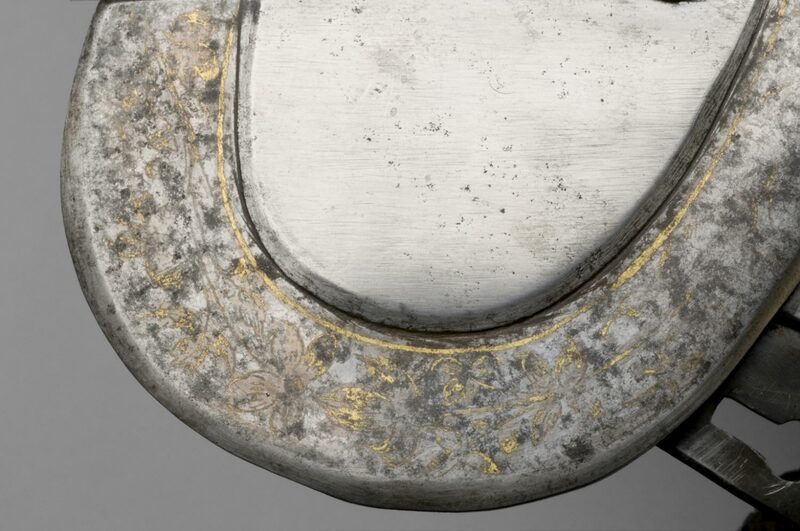 The breastplate is struck with Deutsch's armorer's mark and with the inspection mark of the armorers of Landshut. 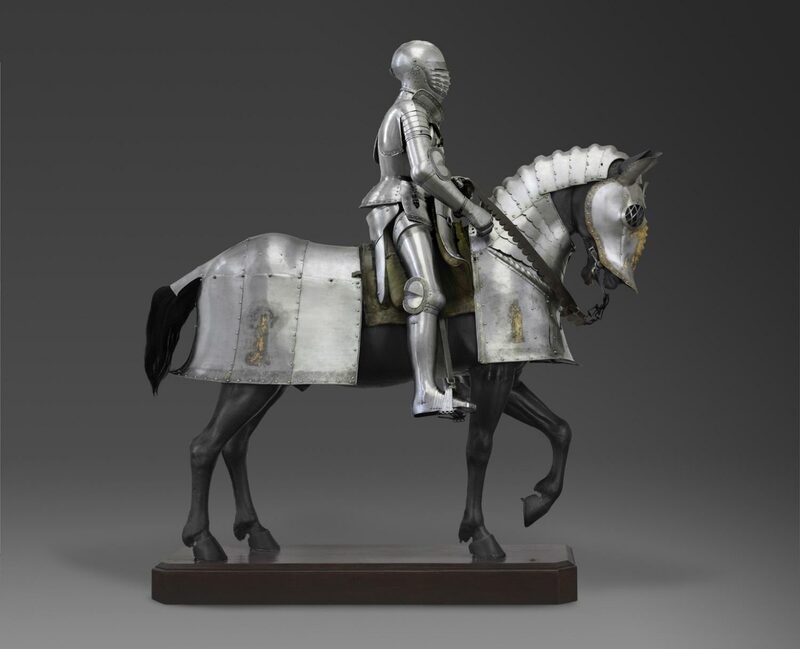 Commissioned by Duke Ulrich of Württemberg for his personal use in a military expedition in Italy and the anticipated triumphal procession in Rome, this exquisitely decorated horse armor (Philadelphia Museum of Art, 2009-117-1) captures the legendary extravagance of the young prince. Wrought by Wilhelm von Worms the Elder, the leading armorer of Nuremberg, it is adorned in gold with figures of noblewomen, the duke’s motto, and a spectacular dragon. The exceptional quality of the design and execution of the ornamentation suggests Wilhelm’s collaboration with a notable artist, probably a painter. 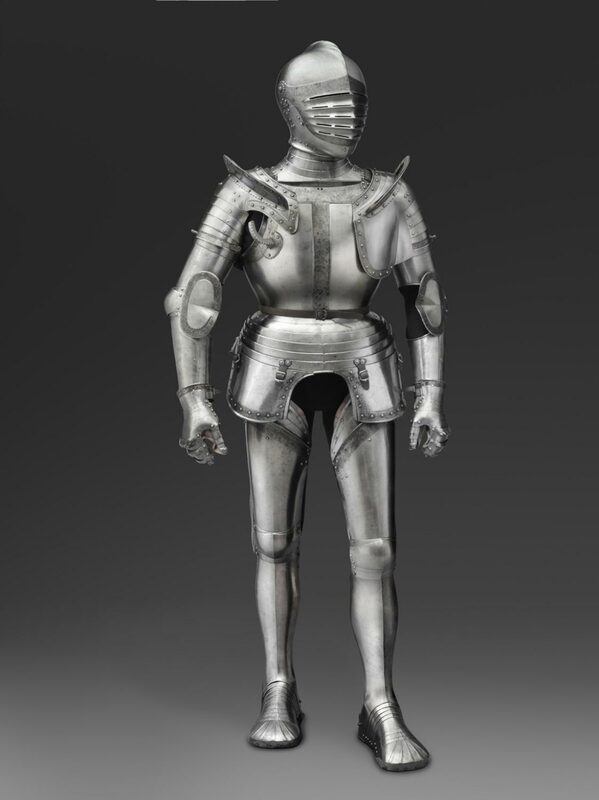 Although the man’s armor was made in Landshut, about one hundred miles south of Nuremberg, and probably was intended for a different patron, its decoration was created using the same techniques and dates to about the same time as the horse armor, with which it has been associated since the nineteenth century. 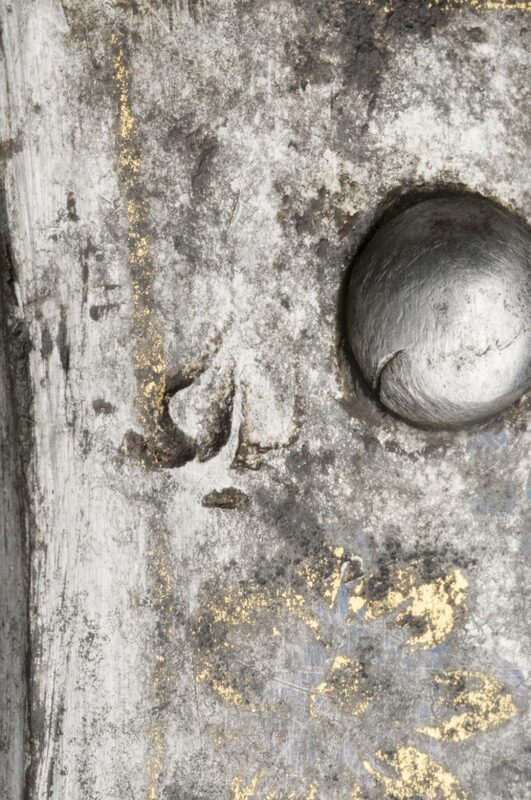 Modeled with singular care and skill, it is the richest early Renaissance armor by the Landshut school. 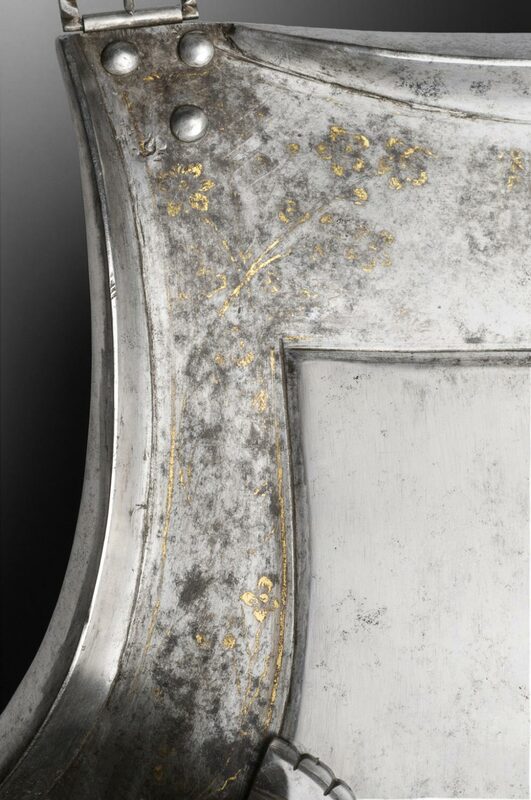 The acquisition of these outstanding masterpieces of early Renaissance armor, made possible through the extraordinary generosity of Athena and Nicholas Karabots and The Karabots Foundation, marked a transformative addition to the Museum’s celebrated collection of arms and armor. 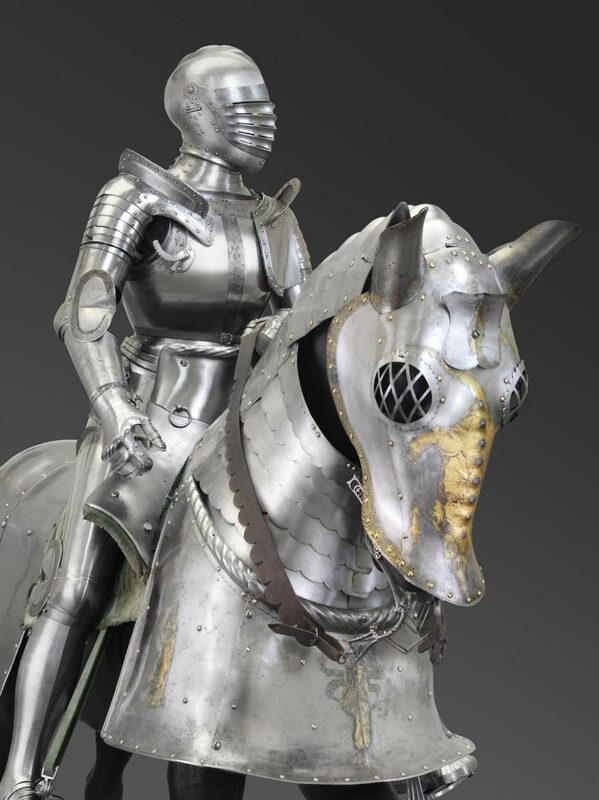 The Museum now preserves the earliest complete Nuremberg armors for man and horse, and several key works by the foremost armorers of Landshut; its collection of early Renaissance German armor ranks among the most important outside Europe. Pierre Terjanian, from Philadelphia Museum of Art: Handbook. Philadelphia: Philadelphia Museum of Art, 2014, pp. 112–113.